Always be prepared to answer the trickiest interview questions. It's one of the hardest and most dreaded aspects of the hiring process—the interview. It's your one shot to make a great impression and convince the interviewer you're the best salesperson for the job. One of the most difficult parts of the interview experience is coming up with intelligent answers to tricky questions on the spot. For sales jobs in particular, questions can vary from the direct to the abstract depending upon the interviewer and the company. No matter how many times you’ve sat in the hot seat, these questions can still catch you off guard. Take a moment to brush up on these five difficult sales job interview questions—and learn how to answer them with confidence at your next interview. If you've ever interviewed for a job before, you've likely had to answer the keystone question: "Tell me about yourself." It's deceptively simple and a real stumbling block for many. What do you include? What do you leave out? How personal should you get? Instead of giving a chronological history of your education and work experiences, focus on personal qualities such as strengths and skills that make you well-suited for the job. Include tangible examples whenever possible, but don't branch off too far into a lengthy story. Include interesting tidbits that the employer will want to ask you more about. This will help frame the rest of the interview and highlight why you’re qualified for the role. The biggest mistake you can make when answering this question is to simply say, “Because I like it,” or worse, “Because the money is good.” This doesn't really tell the interviewer anything they couldn't have obviously guessed—and it certainly doesn't help to set you apart from other candidates. Successfully answer this tough question by focusing on your sales history. Think back to when your passion first began. Was it because of a summer job? Or maybe it started as early as childhood. Briefly illustrate this passion with real-life examples and include a success story, if possible. Then tie it in to why you still want to work in sales. Employers will take note of this longstanding drive and remember your answer because of your personal story. This is a tricky question. Thoughtfully explaining why you left your last job will tell the employer a lot about your personality. You've likely left, or are thinking about leaving, your last sales job because it wasn't a good fit or because you didn't like the work environment, the pay, or management. Though they may be truthful answers, all of these reasons carry a negative connotation and will pull down the mood of the interview. First, state something positive about your last job. Maybe you learned a lot or enjoyed the people you worked with. Then, shift the focus of why you left by talking about what you're looking for in your next job that your past job didn't have. This might be more responsibility, relocation, or a different company culture. This will present your past work experience in a positive light and compliment the position for which you're interviewing. This question is a great opportunity to take a negative and turn it into a positive. It's among the most common interview questions and for that reason, it's also known for evoking some of the most cliché responses. Saying something like, “My biggest weakness is that I never give up on closing a sale,” won't come across genuine or honest. To answer this question, think of a true weakness—you get stressed out easily, or your habit of multitasking can lead to distraction. Then, give specific examples as to how you're making an effort to strengthen these weaknesses. This will show the interviewer that you're honest—and when you recognize a weakness, you know how to take action to fix it. This question sets the stage for highlighting your positive attributes as a sales rep. But when put on the spot, it can be hard to elaborate on exactly what motivates you. Don't give a generic or vague response. This is a personal question, so you'll want to dig deep and answer this. Use this question as an opportunity to provide insight into your character. Are you motivated by goals, pleasing your employer, or being among the highest performing sales reps? This lets your interviewer know whether you'll be a good fit in the company and how to motivate you if you're offered the job. 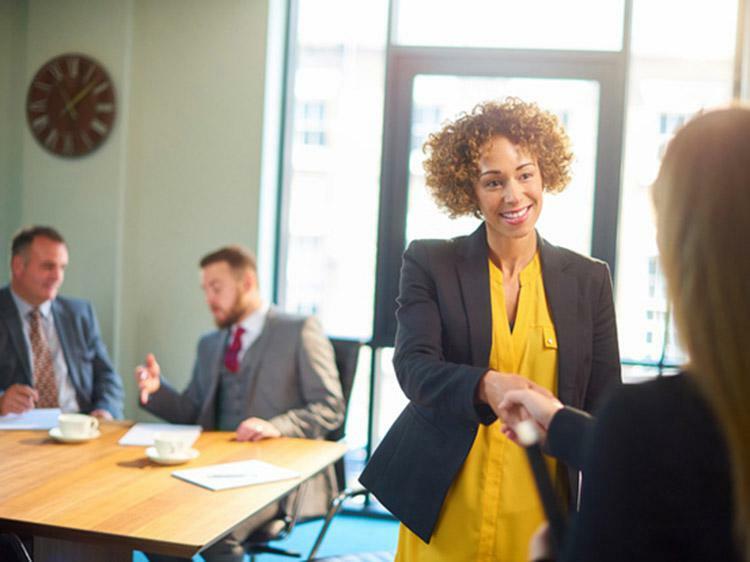 Now that we've taken a closer look at these five tough sales job interview questions, put them into practice by crafting your own answers and familiarizing yourself with how you want to present them. Want to learn more interview tips to keep you ahead of the pack? Join Monster for free today. As a member, you'll get interview insights, career advice, and job search tips sent directly to your inbox. From getting help composing your answers to knowing which questions to ask a hiring manager, Monster can help build your confidence in preparation for the real thing.